Brijuni National Park, with its natural beauty, bays and the rich flora and fauna, attractive and significant geological-paleontological and archaeological sites and interesting exhibitions. Cretaceous Park with fossilized dinosaur footprints, castrum and the remains of Roman villas, archaeological and natural history collection, the exhibition "Josip Broz Tito on Brijuni" family mausoleum Kupelwieser ... are only some of the sights you should not miss. A walk through the islands will follow you many domesticated bird species, deer, mouflon and other wild animals ... 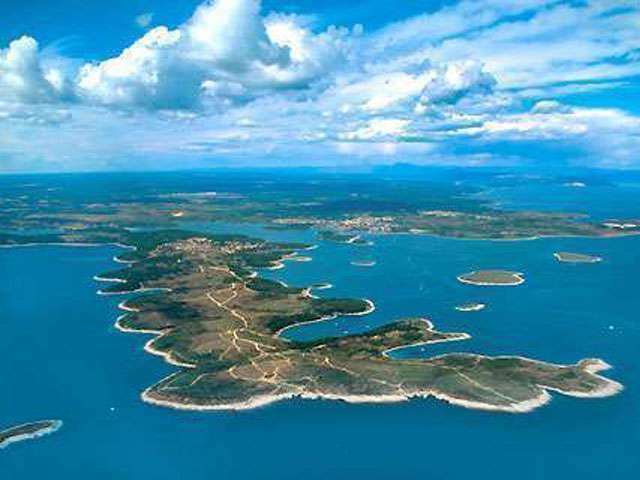 The island can be reached by boat, sailing daily from the nearby fishing village Fažana.